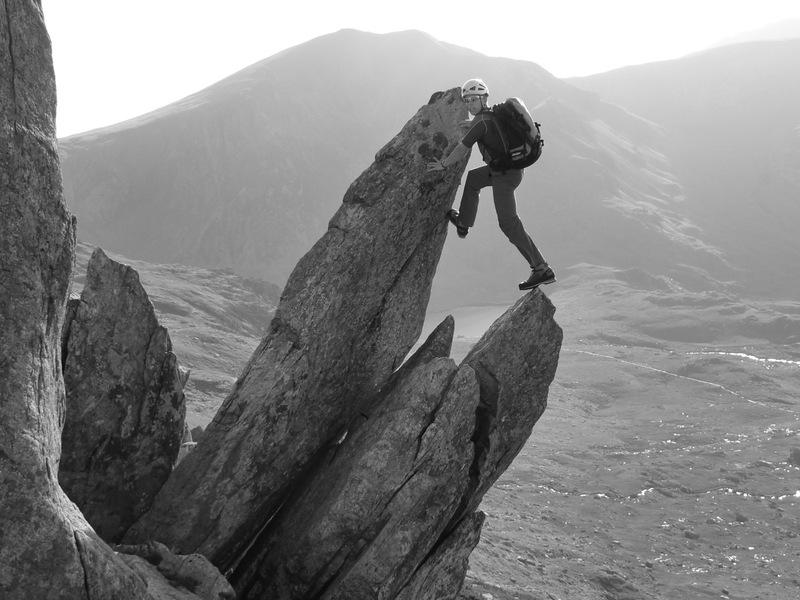 A natural progression from Cwm Idwal up the Idwal Staircase (** 2) led us suitably to the base of Cneifion Arête (*** 3). Topping out on Y Gribin’s ‘football pitch’ we quickly contoured around the back of Cwm Bochlwyd, without sacrificing much height, in order to gain the start of Dolmen Ridge (*** 3). 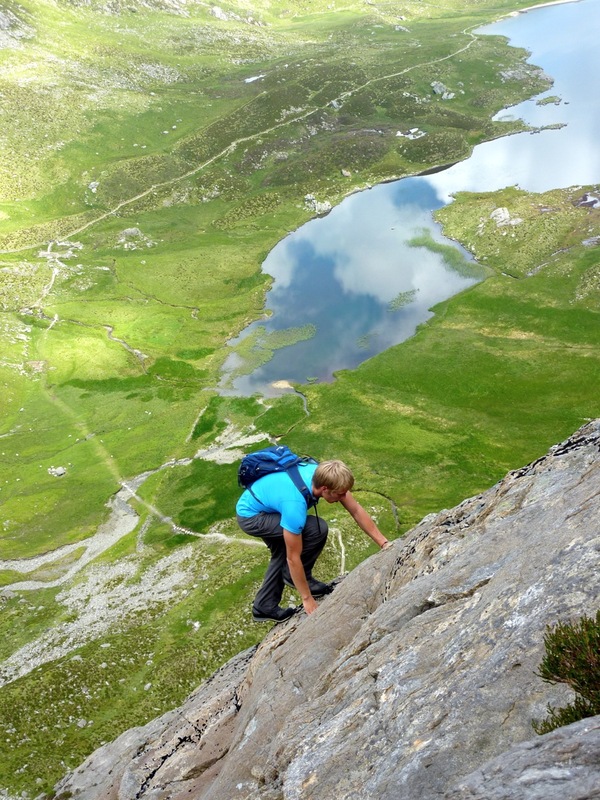 Throwing in variations on the first section, including some safe arguably V Diff/Severe/bouldery moves, added to the excitement; an otherwise very pleasant scramble on sustained and quality rock with some moderately crafty route-finding necessary. 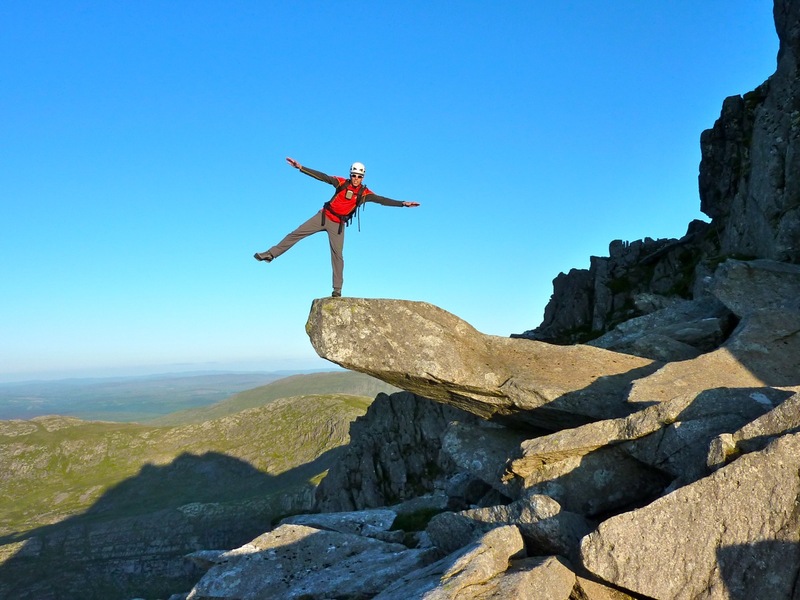 A quick scamper up to the top of Glyder Fach before diving down Bristly screes to cut accross to the start of The Chasm Face for some ‘ape like swings’ and mini caving expedition into ‘the bowels of the mountain’. 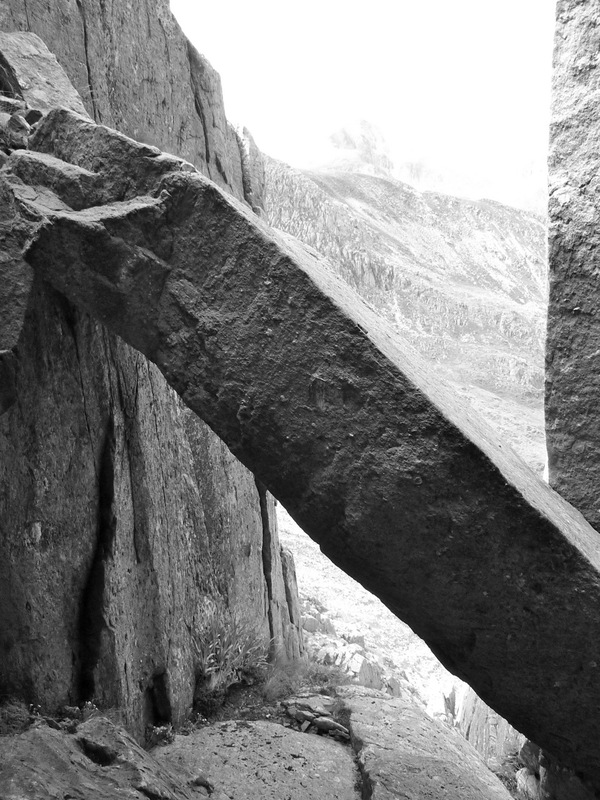 The Chasm Face 'Arch Tempter' - for "claustrophobic, overweight, or over clad scramblers"
Spot the difference - is this close to matching Ashton's photo in Scrambles in Snowdonia? “Stomach-turning exposure” is certainly an accurate description of the upper ‘Improbable Tower’ section – lower down this has all the traits of a great grade 3 scramble with solid, clean rock and plenty of athleticism involved in progressing over slabs/corners/exposed step-arounds. Route finding is a doodle. Approach best directly up from Milestone Car Park (not bay) (rather than hugging the west face true via Milestone Buttress). 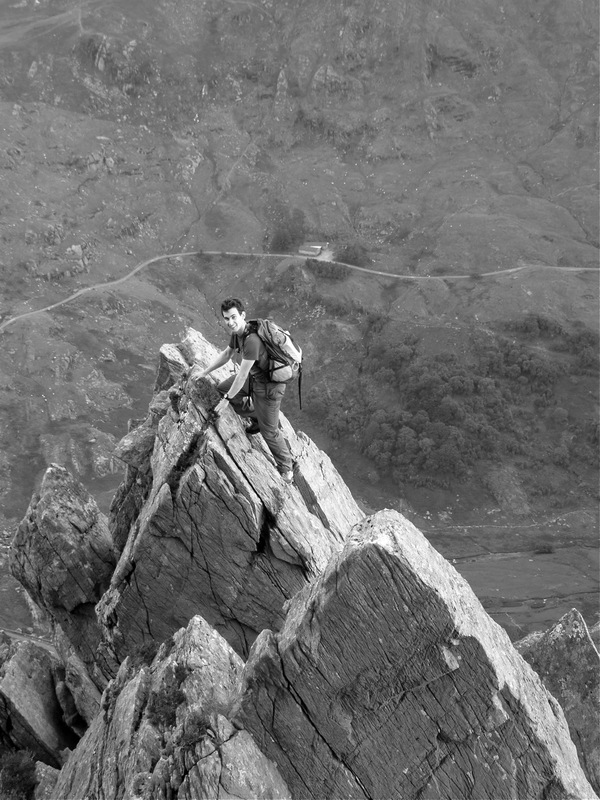 Taking the opportunity to continue up the west face – flanking the North Ridge under the Canon on outstanding buttresses of rock adds spice to the inevitable summit bid.